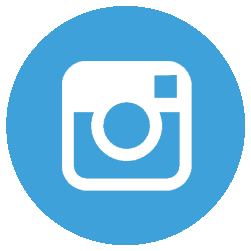 Republic Jet Center holds our self to a higher standard and strives to provide optimal service to our clients. As such, we are proud to be a part of the Signature Select™ Network. This association means that when you visit the facility, Signature clients have immediate access to the world-class amenities and services our select clientele deserve, including Signature’s exclusive state-of-the-art online reservations system. 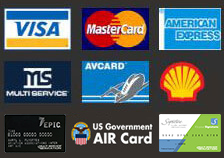 Our Signature Flight Support™ affiliation rewards loyal customers. Through the exclusive Signature Rewards™ programs, loyalty gains additional value for clients and crew who return to Republic Jet Center on their national and international excursions. Membership is available at three levels: Silver, Gold, and Platinum. Each level offers special rewards such as priority-hangar privileges, Signature Quickturn® which waives handling charges, and the opportunity to earn up to 10-times the Signature TailWins® points on European transactions. In addition, Signature Status® program members earn distinctive benefits just for choosing Signature. As affiliates of the Signature Flight Support® enterprise, Republic Jet Center provides many opportunities for our clients. There is a Signature rewards program for everyone aboard your flight. Crew member’s Signature TailWins® rewards program builds value with every pit stop at Republic Jet Center and at any other Signature FBO. Not only will crew members earn points with every fuel purchase, but also become eligible to participate in innovative Signature Select™ promotions and sweepstakes. These will increase uplift into their Signature TailWins® accounts. Points may be redeemed as a reloadable cash card or they may select from several attractive gift options. For private jet owners, the convenience that the Signature Status® program affords including “front of the line” priority service, to minimize wait times, is a reward in itself. Rewards programs are just the icing on a stop at Republic Jet Center. Our affiliation ensures that pilots, crew, and passengers alike will benefit from Signature’s array of exclusive resources. Signature Service Promise® ensures consistent, exceptional service including line support that’s experienced, safe and completely dependable. At Republic Jet Center, visitors always find clean, comfortable, and well-furnished facilities for relaxation or business requirements. Our service professionals will always go the extra mile for both passengers and crew. 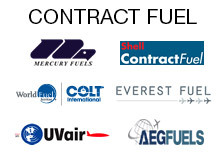 Signature’s worldwide network means you can expect to find competitive pricing for fuel and services. Be sure to ask about the Signature QuickTurn® service for demanding travel schedules. It is our goal to make a stop at Republic Jet Center FBO as comfortable and convenient as possible for our valued clientele. For private aircraft owners who are not yet Signature members, click here to learn more about the benefits the Signature Tailwins Program offers. 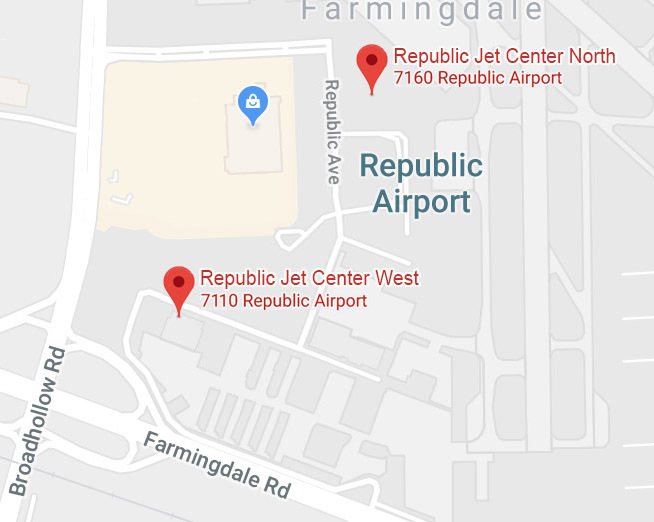 Republic Jet Center North is centrally located next to the control tower and main terminal.